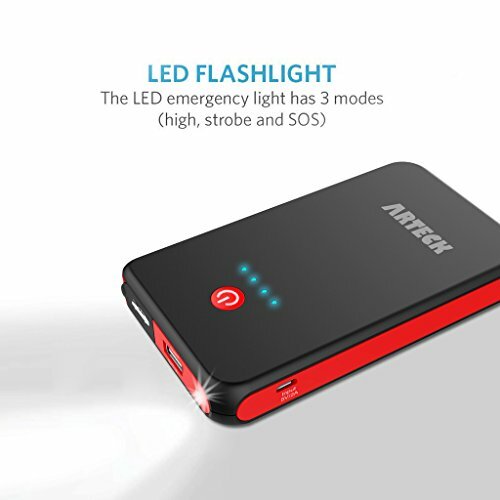 The ultra-bright LED flash light has 3 illumination modes, a flash light when you're in the dark, a strobe light to attract attention, and most importantly an SOS signal flash that will last up to 120 hours on a full charge for when you're outdoors and in need of emergency help. 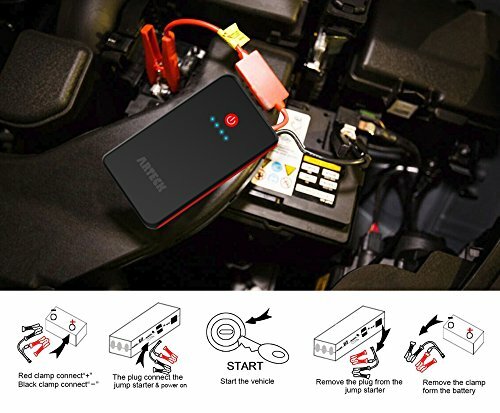 Car Jump Starter: Jump your car up to 20 times when away from electrical mains (support up to 2.5L Gasoline) with built-in heavy duty clamps and cables and 300 amp peak current. 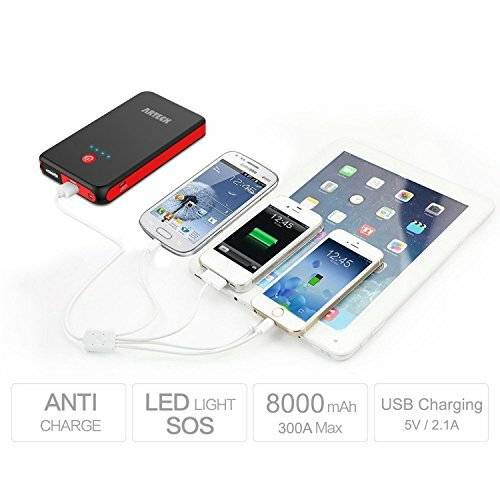 External Battery Charger: Charge phones, tablets or other device and speed of up to 2.1 amps via the USB (8000mAh capacity). 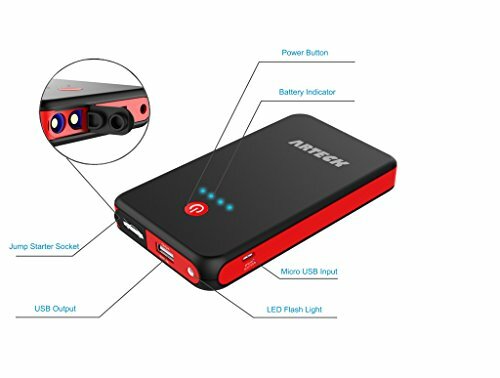 Safety Protection: Premium cells, circuitry and safety features protect you and your device from surge or short circuits. 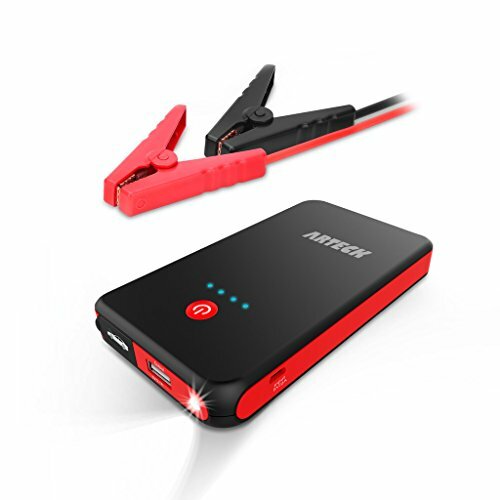 Recharges in just 4 hours using the included micro USB charging cable. LED Light: Ultra-bright LED flash light, strobe light, and SOS signal light that lasts 120 hours. 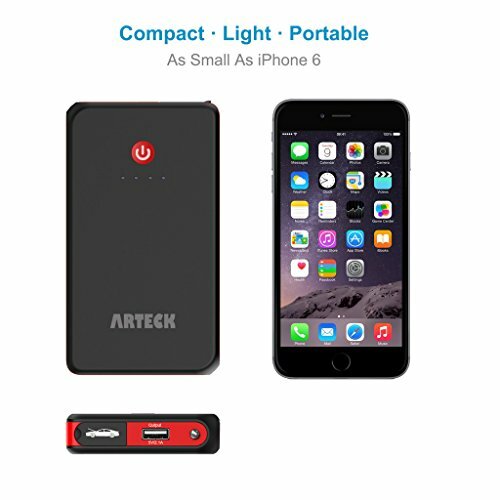 What You Get: Arteck Multi-Functional Car Jump Starter external Battery, micro USB charging cable, jumper clamps, user manual, our fan-favorite 2 years warranty and friendly customer service.